Valentine’s Day is quickly approaching (hooray lovers!) 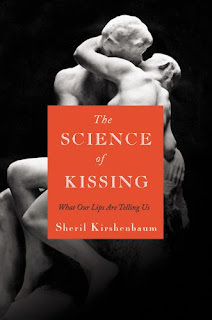 and what better way to celebrate than a #SciKiss Twitter Party with THE SCIENCE OF KISSING author Sheril Kirshenbaum (@Sheril_). @GrandCentralPub is hosting an all-day #SciKiss Twitter party on Monday, 2/14, with all tweets related to THE SCIENCE OF KISSING and I’d love for you to participate! The day will be filled with all sorts of fun – trivia, giveaways, discussions, and much more. Sheril Kirshenbaum is a research scientist at The Center for International Energy and Environmental Policy at the University of Texas at Austin . She blogs on Discover magazine's website, The Intersection, and contributes to a variety of blogs and science publications. Visit her website at www.sherilkirshenbaum.com. On behalf of Blood, Lust and Erotica, I would like to say that you have been awarded the “Life Is Good” award, please go to http://vampiriquedezire.blogspot.com/2011/02/blood-lust-and-erotica-has-been-awarded.html to read more about it. I understand you are an award free blog and I understand you will not accept it, at least no it was given with admiration. thanks for the giveaway! I went to the website to read Sheril's bio and I found it interesting that Sheril is also a musician. I saw on her website that she was on the Today Show. Everything we wanted to know! Could be interesting, especially some of the historical facts. According to her website, she served as a legislative Knauss science fellow advising Senator Bill Nelson on energy, climate, and ocean policy. Very impressive. Thanks for the giveaway, sounds like a terrific book. I've got my fingers crossed for this one! The author has an interesting academic background: two masters of science degrees and she worked as a research associate at Duke.